Kalorel at its own discretion may provide psychometric assessments, coaching, certification, training and development, and other products and services (“Product(s)”) subject to these terms and conditions (“T&C”). Please review these terms and conditions prior to using any of our products. Using any product signifies your agreement with these terms and conditions. If you do not agree with these terms and conditions, you can return the unused Products for a refund under the terms of the Limited Warranty, as outlined below. Customer satisfaction is our company’s primary objective, and the reason we are in business. We will make every reasonable business effort to meet or exceed your expectations with all of our Product(s), but consumers should understand that there are occasions when customers may not be satisfied, even if it is simply because their priorities and/or conditions have changed. For that reason, we offer a Limited Money-Back Guarantee for our products and services as outlined below. 1.1 Does Kalorel guarantee the quality of its products? We Absolutely guarantee the quality of our products! The power of the information that we provide has been proven again and again, and it is based on a combination of our own research and the review of countless recognized authors in the areas of behavioral studies, communication, and psychometric testing and analysis. 1.1a Our customized digital reports are generated and created specifically for every single customer. For that reason, our products are not returnable or refundable after purchase. The report is delivered as a digital PDF document and sent to you as soon as the individual surveys are completed by the couple. If you have any issues with the document received, or if it is a corrupted document, please contact our customer service team at ([email protected]), and we will send another copy if needed. 1.1b If you cannot open the report, you need to verify that you have an updated PDF reader. Depending on your operating system, you may be able to choose one of the multiple options available to download on the web. For security reasons we prefer not to recommend one over another since it will be impossible for us to determine the right version for your computer. The default PDF reader can be found at Adobe ( https://get.adobe.com/reader/ ). 1.2 Does Kalorel Guarantee your results? If the results expected are that you will be able to have a better understanding of your current relationship, the answer is YES. If the expectation is that we magically make people fall in love and become a perfect couple, the answer is NO. We guarantee that the report that you will get is based on the best possible analysis of the responses that you provide; and that if you follow your recommendations you will be able to manage your relationship in a much better way. This is no guarantee that you will have a perfect relationship, or that you will even stay together, only that you will know how to address the problems that you may be facing, and that you will be able to make an informed decision about what to do in or with your relationship. So, yes we guarantee that one or the both of you should have a better understanding of your current relationship, and how to address its challenges. 1.2a Even if we were including multiple face-to-face interviews, it would be possible for participants to answer questions deceptively or enhance their answers to be what they think the interviewer wants to hear. YOU are the variable that we cannot control for, and your personal ability to fully understand and answer the questions is the basis for the validity and accuracy of the recommendations provided. 1.2b The results depend solely on your efforts and those of your partner. This is your life, your commitment, your activity, and your choices. We can offer you tools, but you need to build the house. 2.1 While all “digital products” sales are final, we still offer our customers a 100% MONEY-BACK GUARANTEE on UNUSED ASSESSMENT CODES. This means that if you purchased an assessment CODE, you can request a refund on your purchase at any time. This limited warranty is only applicable in the case where the CODE has not been used by anyone before the 30 days. Once the license is used to start taking the assessment, the limited warranty automatically expires. 2.2 Unless otherwise specified, our digital and downloadable products, such as individual assessments, and individually personalized reports, are considered “customized digital products.” For our digital Product(s), “all sales are final” and Kalorel has a “No Returns or Refunds” policy after purchase. 3.1 In addition to our “digital products,” Kalorel reserves the right to sell or distribute additional physical products, either directly, or through a network of reseller companies, distributors, partners, associates, affiliates, licensees, and others. 3.2 For items purchased through Amazon.com or other vendors we may direct you to, please see their respective refund policies for more information. Delivery time for those products not shipped by us is selected by you at the time of purchase from their site. 3.3 We guarantee our personalized products to be free of manufacturing errors or product defects. If there is a quality issue with your order, you may return it in new condition and in its original packaging for a prompt exchange for the same item, or immediate full refund. Understandably, personalized items such as our individual reports cannot be accepted for return, unless there is a manufacturing error or product defect. All refunds and exchanges must be made within 30 days of the shipping date of the products to you. Our limited warranty for physical products excludes our production, operations, shipping and handling fees, which will be deducted from the total amount paid by the customer. 3.4 All physical product warranties will be depending on the successful return of undamaged, unused products at to our facility. Customer will be responsible for all shipping and handling charges back to our location; and refunds when appropriate will be provided only after the product has been successfully received and processed. 4.1 Kalorel Product(s) are provided “as is,” with no expressed or implied claims of merchantability or applicability of the Product(s) presented, recommended, or sold on our site or on other sites to our customers, associates, partners, distributors, or anyone who buys, recommends, or sells any of our Product(s). 4.2 The contents of the Kalorel website , and our Product(s), do not constitute advice and should not be relied upon in making or refraining from making, any decision. All material contained on Kalorel is provided without any warranty of any kind. 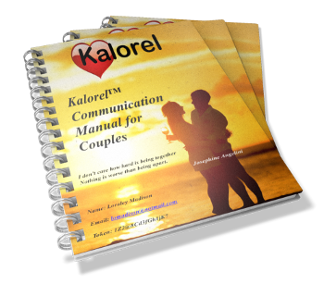 You use the material on or received from Kalorel at your own discretion. 4.3 By purchasing, recommending, distributing, or in any other way using Kalorel Product(s), you implicitly agree that you understand that those Product(s) are created and provided for informational and recreational purposes only. The decision to follow, recommend, or implement any of the potential solutions or recommendations that may be found in our website, case studies, documents, assessments, or reports is completely up to you, and you accept any potential consequences that may arise from that decision. We fully recommend you consult a qualified professional to help you evaluate the recommendations and determine if they are applicable to your specific case. 5.1 The Website and the Product(s) are provided by Kalorel on an “AS IS” and “AS AVAILABLE” basis without any representation or endorsement made and without warranty of any kind, whether express or implied, including but not limited to the implied warranties of satisfactory quality, fitness for a particular purpose, non-infringement, compatibility, security, and accuracy. 5.2 To the extent permitted by law, KALOREL will not be liable for any indirect or consequential loss or damage whatever (including without limitation: loss of business, opportunity, data, and/or profits) arising out of or in connection with the use of the Website and its Product(s). 5.3 KALOREL makes no warranty that the functionality of the Website, its Product(s), will be uninterrupted or error free, that defects will be corrected, or that the Website or the server that makes it available are free of viruses or anything else which may be harmful or destructive. 5.4 You agree to indemnify and hold Kalorel and its employees and agents harmless from and against all liabilities, legal fees, damages, losses, costs, and other expenses in relation to any claims or actions brought against Kalorel arising out of any breach by you of these Terms and Conditions or other liabilities arising out of your use of this Website. 5.5 Nothing in these documents shall be construed so as to exclude or limit the liability of KALOREL for death or personal injury as a result of the negligence of KALOREL or that of its employees or agents. 5.6 All claims and disputes arising under or relating to this Agreement are to be settled by binding arbitration in the State of Florida or another location mutually agreeable to the parties. The arbitration shall be conducted on a confidential basis pursuant to the Commercial Arbitration Rules of the American Arbitration Association. Any decision or award as a result of any such arbitration proceeding shall be in writing and shall provide an explanation for all conclusions of law and fact and shall include the assessment of costs, expenses, and reasonable attorneys’ fees. Any such arbitration shall be conducted by an arbitrator experienced in the digital and downloadable products industry and shall include a written record of the arbitration hearing. The parties reserve the right to object to any individual who shall be employed by or affiliated with a competing organization or entity. An award of arbitration may be confirmed in a court of competent jurisdiction. 7.1 This Limited Warranty governs the manner in which Kalorel sells its Product(s). This policy applies to the site and all Product(s) offered by Kalorel. 7.2 By accessing and using our site, and purchasing any of our products or services, you are fully accepting the terms, conditions, and disclaimers contained in this notice. If you do not accept these Terms and Conditions, you must immediately stop using our site and/or stop buying our Product(s).